My daughter and I spent some time on Saturday freshening up our porch area and it’s looking really good. We still need to add a new rug, some hanging pots of flowers and she wants to add a hanging lantern or two. You can see a few of the flowers and decor we decorated with on my Instagram. I love the idea of a place outside, tucked away some where that’s comfy to sit and relax. Right now our backyard is still a blank slate and when you take one glance at our crazy summer schedule, it might just have to stay that way. But, maybe there are a few things we can do to make it somewhat enjoyable this summer. Like creating a little escape with a few items from One Kings Lane. 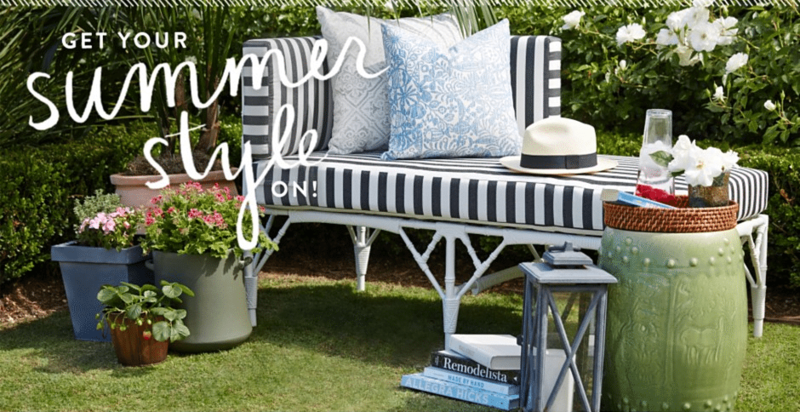 I love the picture above from their website and it absolutely makes me want to curl up with a good book, a good drink and soak up the gorgeous summer sun. Did I mention mixing patterns? 🙂 This outdoor pillow caught my eye and the pattern is beautiful! I would love to see how this looks against the stripes and mixed in with a few solid colored pillows. 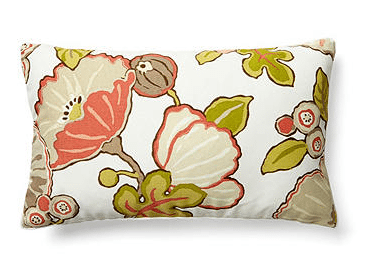 This is their Blooms 12×20 pillow. 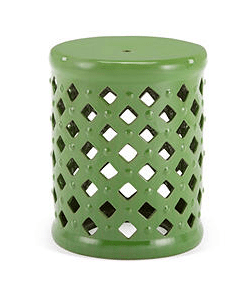 A garden stool of some sort is a necessity. I’m thinking one in this Kelly Green or possibly yellow would look perfect. 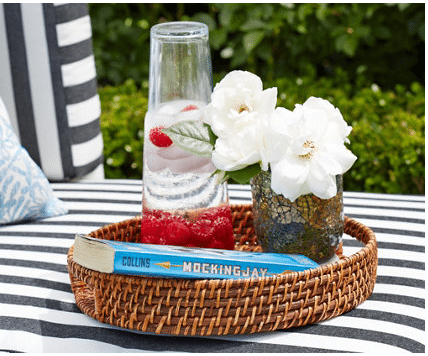 A wicker tray is perfect to hold your books, drinks and other necessities for relaxation. 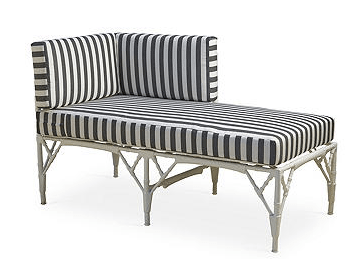 The wicker looks great against the stripes doesn’t it? This little escape of mine is coming together quite nicely! 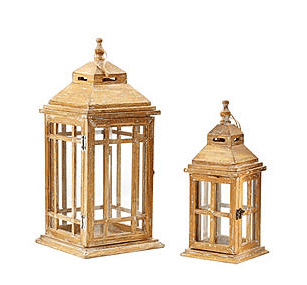 Lanterns really add charm to your home inside or out. I just saw a front porch re-do where they put a giant conch shell inside the lantern. Love it.